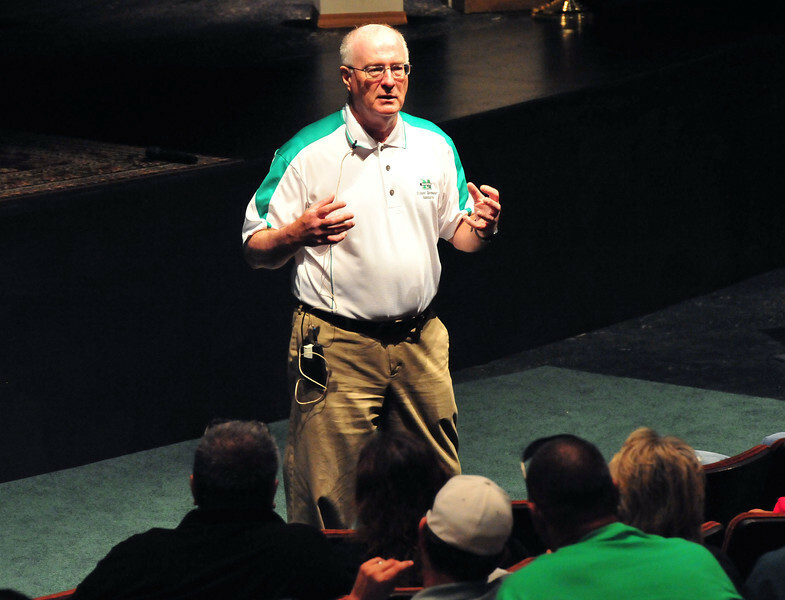 Steve Hensley addresses a group of future students and their parents at Marshall University’s orientation June 21. Hensley, who is dean of student affairs at Marshall, received the Distinguished Service Award from the West Virginia Association of Student Personnel Administrators earlier this month. Photo by Tyler Kes.